The opening lyrics of Katy Perry’s chart-busting single Hot N Cold which goes: “You change your mind like a girl changes clothes”, seem perfectly apt when it comes to the number of managers Chelsea have had since Roman Abramovich’s acquisition of the London club in 2003. The Russian billionaire has dismissed not one, not two, not three, not even four, but NINE top class managers since his purchase of the club – making him one of the most impatient sugar daddies in football. One can be forgiven if he compares the list of Chelsea managers since Roman Abramovich’s takeover in 2003 to a Christmas list compiled by a five-year-old. Roman Abramovich, who is the 12th richest person in his native Russia and the 137th richest person in the world, purchased Chelsea from previous owner Ken Bates – in a deal worth a whopping £140 million. The Russian’s main agenda was to transform Chelsea, which had experienced a dip in form since the ‘70s, to a force to reckon with in European football. Abramovich fully succeeded in his objective but did so only by being ruthless, which is why the mass exodus of managers followed. The first victim of Abramovich’s culling was Italian coach Claudio Ranieri, who was appointed as head coach of the Blues three years before the Russian’s takeover. Now Ranieri wasn’t a bad coach by any means, and despite a poor debut season, oversaw a period of stability thereafter – albeit a trophyless one. What caused Ranieri’s doom was his inability to bring trophies to the club despite being handed a large transfer kitty of £120 million. The Italian got the sack on May 31, 2004, but left some lasting changes on the club with his signings in the form of Frank Lampard, Hernan Crespo, William Gallas, Claude Makelele among numerous others, and also oversaw the emergence of current first team captain, John Terry. 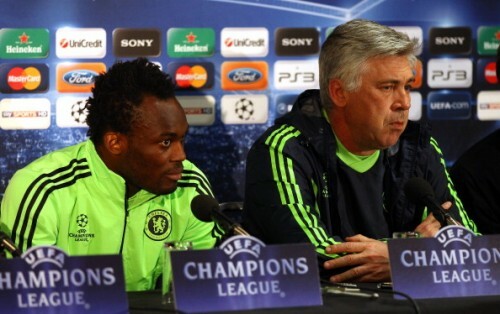 Ranieri was also credited with scouting Didier Drogba and Arjen Robben, who eventually became Chelsea players. Although Ranieri, who Chelsea had an excellent defence record under, should have been given at least one more season to succeed, his dismissal turned out to be a big blessing to the fortunes of the club as they were now under the management of the brilliant and enigmatic Jose Mourinho. The Portuguese was appointed as Chelsea manager on the back of his brilliant triumphs at Porto, which included the 2004 Champions League, and took no time in stating his lofty ambitions with his immortal ‘Special One’ speech. Mourinho took no time in bringing success to Chelsea and won the Premier League and the League Cup in his debut season, as well as another Premier League, an FA Cup two more League Cups and a Community Shield thereafter. His signings in the form of Didier Drogba, Petr Cech, Arjen Robben, Michael Essien, Florent Malouda, among other critical to Chelsea in the coming years. However, differences began to crop up between Abramovich and Mourinho, which led to his departure in 2007, becoming the most successful managers in Chelsea’s history and the pioneer of the club’s success in the early 21st Century. 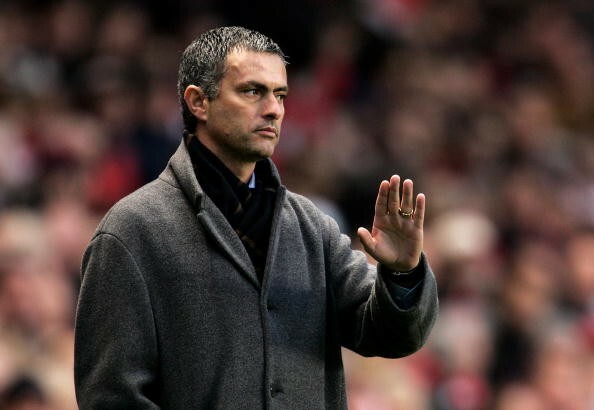 Mourinho returned for his second stint at Chelsea on 3 June, 2013 and although his debut season was low for his standard, he still managed to finish the season in third place – just four points adrift of champions Manchester City, all this while lacking adequate firepower up front. His second season was much more successful and new signings in the form of Diego Costa and Cesc Fabregas helped Chelsea lift the Premier League, Mourinho’s third, with three games to spare and losing just three matches in the 2014-2015 season. The 2015-2016 season has so far been a disaster for Mourinho and Chelsea, who now sit 16th in the Premier League. Apart from their poor form, Mourinho has also attracted negative publicity for his temper tantrums as well as the infamous touchline bust-up with Chelsea’s head doctor, Eva Carneiro, which led to her dismissal. However, according to Abramovich’s key aid, the owner still has faith in Mourinho and still has hopes of a turnaround before the season ends. Mourinho’s departure in 2007 saw Chelsea’s director of football, Avram Grant – a personal friend of Roman Abramovich, appointed as the Portuguese’s successor one day later on November 20th, 2007; becoming the first Israeli to manage an English club. Despite Grant’s appointment receiving negative reactions from fans and players due to him not possessing a top flight coaching badge from UEFA, he still managed to go unbeaten at home during his entire tenure at Chelsea and led them to runner-up positions in the Premier League, Champions League as well as the League Cup. However, the lack of trophies saw his contract terminated in the summer of 2008, and despite being once again offered the role of director of football, chose to leave the club. Luiz Felipe Scolari’s appointment as Chelsea manager was confirmed on July 1st, 2008, making him the first World Cup winning coach to manage a Premier League club. Scolari began the season on a high note with a 4-0 victory over Portsmouth as well as a massive 5-0 win against Middlesbrough, which was the club's biggest win in five years, but the club’s form soon dipped after Christmas. A 2-0 defeat against Liverpool, followed by a disappointing goalless draw with Hull City, signalled the end of the Brazilian’s reign at Chelsea on February 9th, 2009, making him the first manager to be dismissed by Abramovich before the season ended. A silver lining did arrive for Chelsea when they appointed highly respected Dutch coach Guus Hiddink, who also held the post of the manager of the Russian football team, as interim manager for the rest of the season. The Dutchman oversaw an excellent run in charge, losing just one game as well as lifting the 2009 FA Cup – which Hiddink counts as one of his proudest moments in the game. Despite enormous appreciation from the fans and players, Hiddink chose to return to his post as manager of Russia at the end of the season and received beautiful parting gifts in the form of a signed team shirt as well as an engraved watch from all the players. Enormous success would once again greet Chelsea with the appointment of decorated coach Carlo Ancelotti on June 1st, 2009. The Italian won the Premier League as well as the FA Cup in his debut season, which was Chelsea’s first ever double. His second season was a disappointment by his standards, with Chelsea conceding the title back to Manchester United and in danger of losing out on a place in the Champions League. Ancelotti eventually turned things around and led Chelsea to a fourth-placed finish. The 56-year-old’s time at Chelsea is also famous for his acquisition of Liverpool striker Fernando Torres for £50 million, which turned out to be a complete failure. 2011 turned out to be Ancelotti’s final year at Chelsea and he was sacked on May 22nd after failing to wrest the title from Manchester United. Ancelotti’s successor would eventually be Andre Villas-Boas, an upcoming young coach, who successful guided Porto to the Europa League, Taca de Portugal and Primera League titles. The Portuguese won his first trophy as a Chelsea manager in the form of the Barclays Asia Cup as well as every single pre-season game, which proved extremely exciting to Chelsea fans. However, derby defeats, as well as a League Cup semi-final loss to Liverpool proved to be the part to his ultimate downfall. Villas-Boas and Chelsea soon slipped from the top four position in February and had his tactics questioned by players and staff alike, which attracted the attention of Roman Abramovich. A defeat against West Brom on March 4th, 2012 led to Chelsea battling for a fourth place finish with Arsenal, which caused Abramovich to finally lose patience with his manager and relieve him of his duties, with assistant manager Roberto Di Matteo given the job of interim manager until the end of the season. Roberto di Matteo began his interim period at Chelsea with strong victories against Birmingham, Stoke and Napoli, the last of which enabled Chelsea to continue in the Champions League. The Italian then guided Chelsea to an FA Cup final victory over Liverpool despite having captain John Terry shown a red card in the first half. However, his finest hour was guiding Chelsea to their first Champions League, against Bayern Munich who were widely considered the better team. Di Matteo’s phenomenal achievements led him to be appointed as Chelsea manager on a permanent basis on June 13th, 2012, which he began strongly with four successive victories. However, Chelsea’s form suffered on the Champions League front and a damning 3-0 loss to Juventus signalled the end of Di Matteo’s time at Chelsea on November 21, 2012, after just eight months in charge. Abramovich’s decision to sack Di Matteo proved controversial as the club were extremely stable under the Italian and had a chance of recovering on the home front had he been given more time. Di Matteo’s replacement was eventually revealed to be Rafael Benitez on November 21st, 2012, which didn’t sit well with Chelsea fans due to his previous stint as manager of their rivals Liverpool. Benitez’s first games were both draws, followed by a massive 6-1 victory in the Champions League against Nordsjaelland. A mixed bag of results followed and Chelsea were knocked out of the League Cup by a high-flying Swansea. However, Benitez did manage to win the Europa League, making him the second manager to win the trophy with two separate clubs after Giovanni Trapattoni. The Spaniard declared that he would leave his post as interim manager at the end of the season, but did manage to lead Chelsea to a third-place finish in the Premier League as well as a place in the Champions League, before being replaced by a returning Jose Mourinho. The Portuguese tactician was confirmed as the manager of Chelsea for the second time on the 10th of June 2013 as he arrived post his spell of managing Spanish giants Real Madrid. Mourinho called his first season in charge a ‘transitional period’ as he played down his side’s title chances as Chelsea finished third in the League, four points behind winners Manchester City. Mourinho followed that up with a dominating season as he oversaw the Blues win the Premier League with an impressive eight-point difference over second-placed Manchester City. The 52-year-old also won the League Cup as they beat Tottenham 2-0 in the final. However, they were knocked out of the Champions League as they lost to French Champions Paris Saint-Germain on away goals in the Round of 16. Unfortunately, in a classic case of ‘Hero to Zero’ the 2015/16 season shaped out to be the worst in the Portuguese’s career. His spat with club doctors, indifferent tactics and team selections, reports of rifts with players all contributed to a nightmare season which saw him consistently linked with getting the sack for most of the season. Mourinho and his side slipped to a 2-1 defeat away to Leicester City in December which saw them sit just a point above the relegation places. It was the London side's 9th defeat in 16 games heading into the new year. However, it would seem that Abramovich finally ran out of patience with the ‘Happy One’ as he ended Mourinho’s reign for the second time on the 17th of December. The sacking of Jose Mourinho ushered in Dutch tactician Guus Hiddink for his second spell at the Stamford Bridge managerial hot seat. 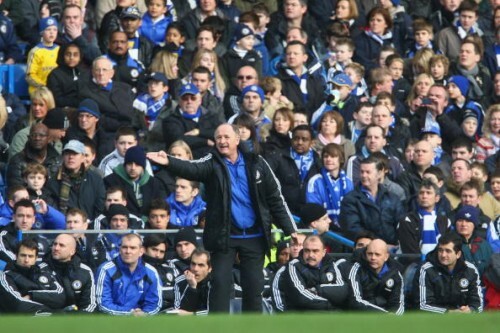 Hiddink who had previously managed Chelsea after the sacking of Luiz Felipe Scolari in the 2009/10 season, had led his side to FA Cup glory beating Everton at Wembley. Hiddink has fond memories from his spell at the Bridge last time around and will be hoping to revive the club’s fortunes as he attempts to arrest Chelsea’s slump in the League. It will be interesting to see how the Dutchman would fare as he takes charge of the club ahead of the Boxing day fixture. It’s safe to say that Abramovich’s ownership of Chelsea has been a nightmare for many a manager, with the Russian proving to be an extremely hard taskmaster and a person who expects a return on his investment quickly. However, it mustn’t be forgotten that Abramovich also ushered in the club's most successful era when he choose to purchase it in 2003, and transformed them from a struggling London club to the sixth most valuable football team in the world. So as long as Chelsea are under the watchful eye of their sugar daddy, their time in football will surely be sweet.